The Tattini 2017/2018 winter clothing collection is already available in our webshop. As always, they're both practical and elegant at the same time, following the latest Italian fashion trends, furthermore they match each other perfectly. With the soft down, the durable softshell and the warm fleece tops you can be prepared for the transition period and even for the really cold weather later on. In addition, these products are sold at a very favorable price despite their premium quality. Ultra lightweight nylon with irregular horizontal quilting, it is padded with extremely soft and insulating eco down that keeps the body temperature constant. 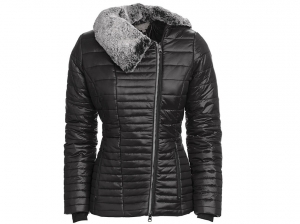 With a high neck and a detachable eco-fur, 2 zipped front pockets and asymetrical side zip closure with two-ways zipper. Zipped vents on external and interior cuffs in lycra with thumb hole to use as a glove. Embellished with fluorescent over-zipped band front and rear on the central-cut. Properly embellished by zip-puller, internal label and exterior badge on the left sleeve. Tight-waisted, it is made in fleeced and stretched softshell, with inserts in softshell on sides for more comfort and a perfect fit. 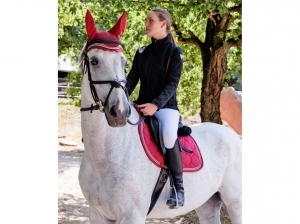 With technical cut on elbow, adjustable cuffs with velcro, zipped front pockets, with ventillation holes below arms, high-necked with chin-protector, front zip with two-ways zipper, rear zipped vents. With contrasting decorative stitching and properly embellished by zip-puller, internal label and exterior badge on the left sleeve. 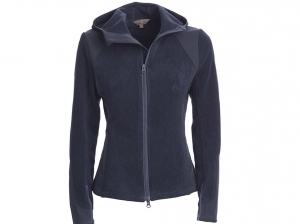 In soft polar fleece with inserts in softshell on sides, shoulders and sleeves for more comfort and a perfect fit. 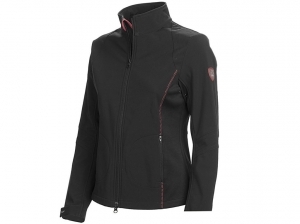 Front zip with two-ways zipper, warm fleece hood, double front zipped pockets and zipped vents on cuffs. Properly embellished by zip-puller, internal label and exterior badge on the left sleeve. New details for the classical bomber jacket, made with water repellent nylon with contrast colour, high quality fleece lining. Decorated by Tattini badge. Waistband, cuffs and partial collarin tone-tone rib with lines in colour contrast. Tattini customized zip puller. Provided with internal back zip for the application of embroidery.